Juan Carlos, who has always been fascinated by etchings, already had the plan worked out. 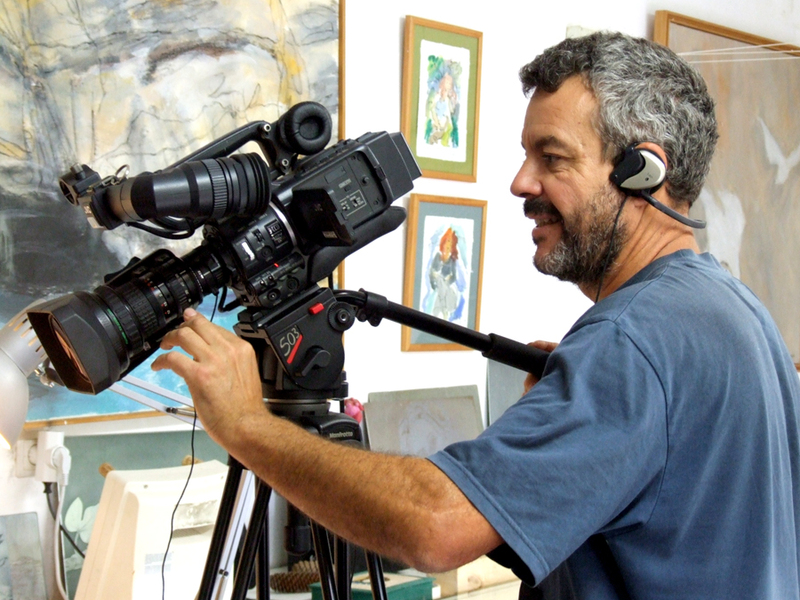 Between the two of us we would produce a series of on-demand fine-art printmaking instruction videos. This would be a ideal way to extend the essence of my printmaking workshops to printmakers around the world, and it would also be an educational initiative aimed at fine-art print lovers and collectors. It sounded simple enough but, as we all know, nothing is as simple as it sounds. There were weeks of preparation—choosing a theme, scripting the introductions, choosing locations, working out the lighting, preparing the materials for the different techniques… In the end the theme we agreed upon as the thread which would run through all the videos was also Juan Carlos’ idea: Maureen Booth’s Printmaking Universe. He wanted to give the videos a documentary character. That meant more work but, in the end, we’re seeing that it was worth the trouble. Essentially what we tried to capture on the videos was the same thing I do when I do live workshops. I’ve been through the explanations so many times that there was no need to script that part of the videos. Juan Carlos is such a documentalist that when I got confused and had to rectify, he would leave those parts in. “It’s just like real life,” he would say. Due to Juan Carlos’ exacting professional standards we couldn’t just shoot the videos with ambient light and knock them out in a few days. It was weeks of work. And that didn’t include the editing, which he did apart in his own studio. This painstaking process didn’t take me by surprise, however, as I had already worked with Juan him a few years ago on Bive, one of his short films in which I played the part of an English printmaker who fell in love with a Spanish fisherman, wreaking social havoc in a sleepy Andalusian fishing village. 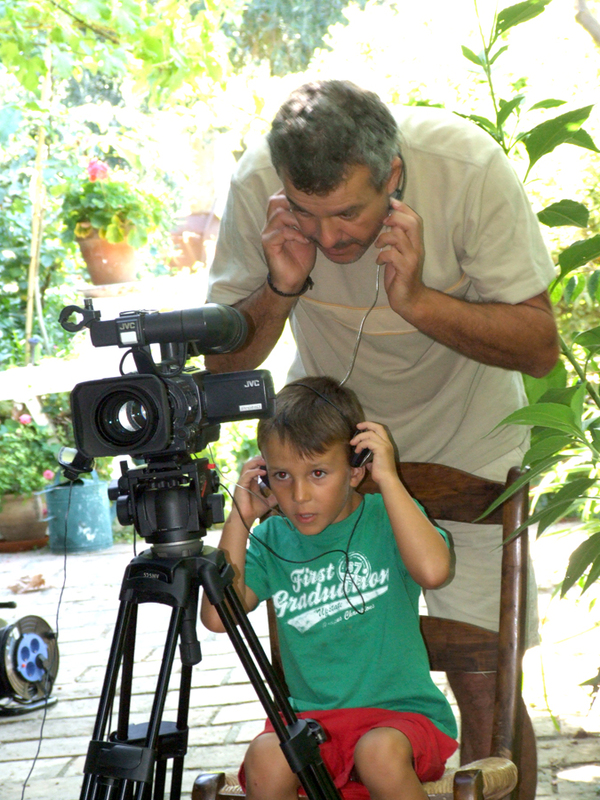 As we were working during the school vacation period, Juan Carlos had two assistants on the shoot, his 11-year-old daughter Silvia and his six-year-old son, Mario. 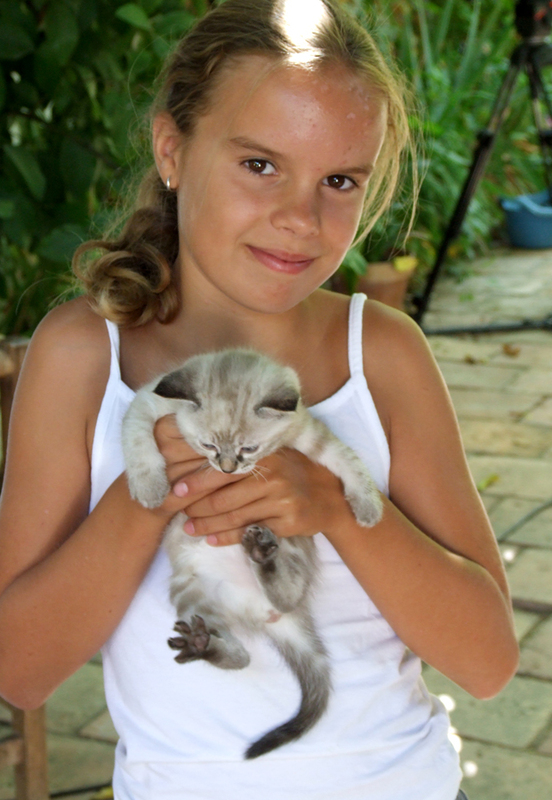 When they weren’t slaving over a hot camera they amused themselves playing with Molly’s kittens. With these videos we have tried to go beyond the basics and show the minute details which, taken all together, are essential in producing a truly professional fine-art print. I have also tried to include innovative ways of doing things which many printmakers, both amateurs and professionals, may not be aware of. 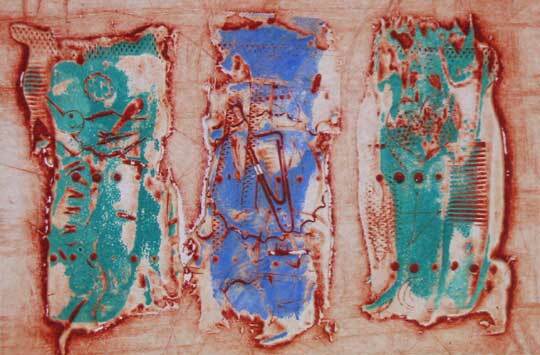 Solar-plate printmaking, for example, has become very popular in recent years. But not many of the artists who use solar plates realize that the nuances of a good solar-plate print are achieved not on the plate but on the acetate. So I dedicate part of the solar-plate video to explaining some techniques which can be used to improve the image on the acetate before burning the plate. One of the videos is dedicated exclusively to printing techniques. Once we have achieved a perfect “straight” print, many of the artists I work with in my studio are amazed at the number of different “versions” which can be pulled from that same plate just by using different inking and printing techniques. And they’re fascinated to learn the multi-color, multi-plate effects that can be achieved from a single plate and a single pass through the etching press. Besides being a lot of work, making these videos was a lot of fun. 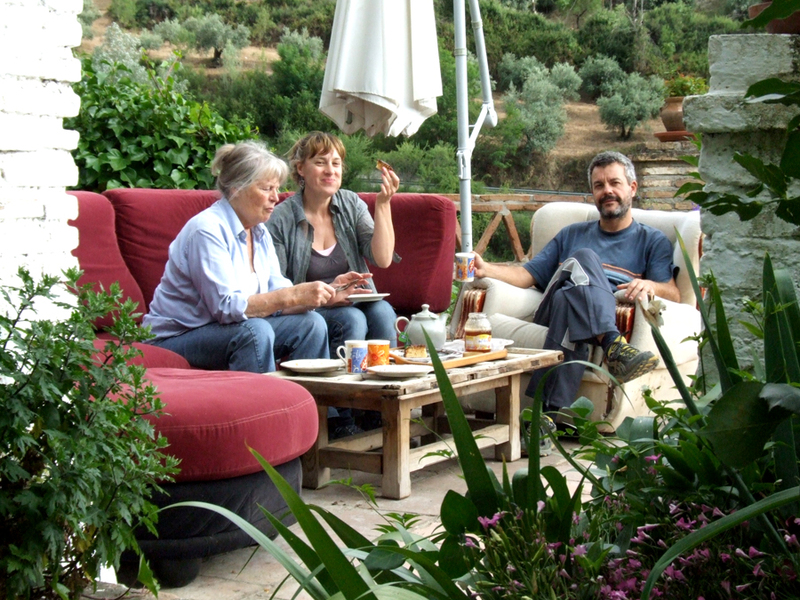 We had some meals together—thanks to my husband Mike, the barbecue chef–and some good laughs. And now that the shooting is finished there’s quite a sense of achievement. 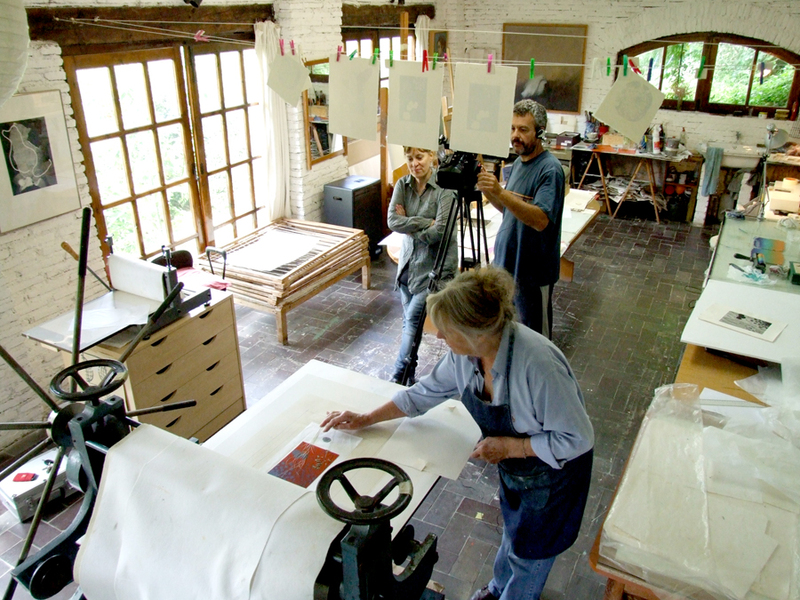 The Printmaking Master Classes videos are scheduled to be online by mid-September, 2011. The trailer and some excerpts from each video will be posted on YouTube at the same time. I hope you enjoy them and also learn something useful for your work. In the meantime I’ll keep you updated on developments. Any questions? You can email me at: maureenluciabooth@gmail.com.